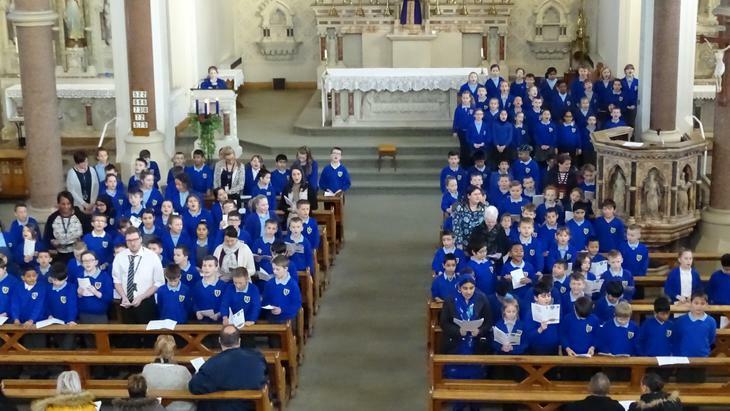 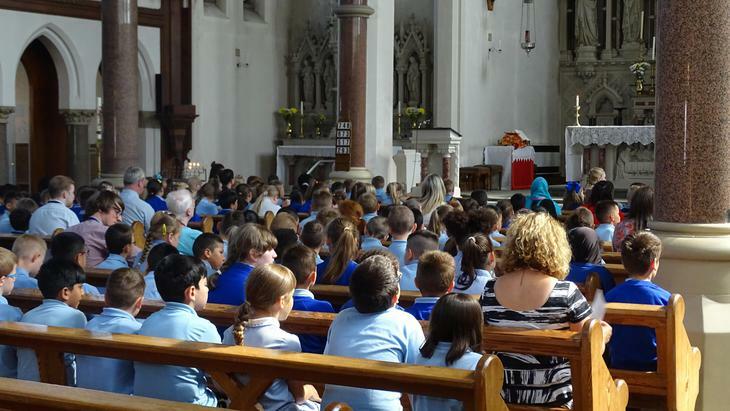 As a Catholic community we gather together regularly in school to pray and worship. 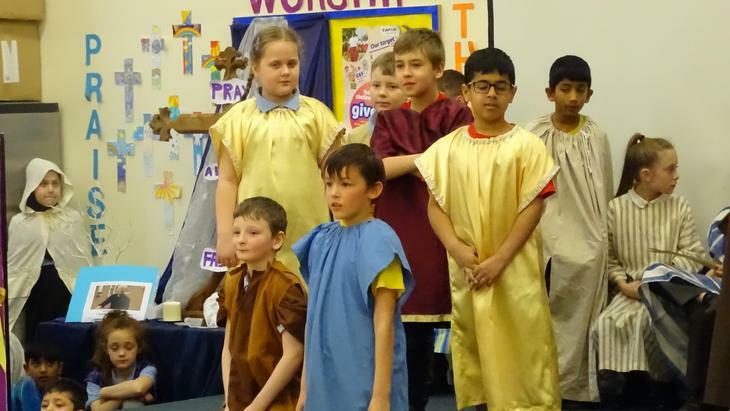 During these times we examine scripture from the Bible and reflect on the messages. 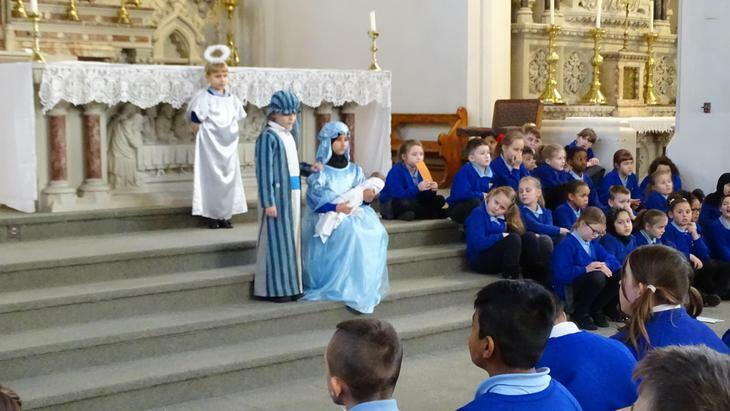 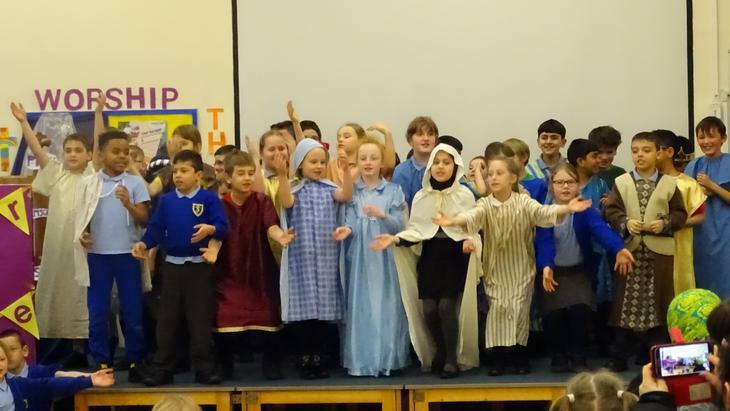 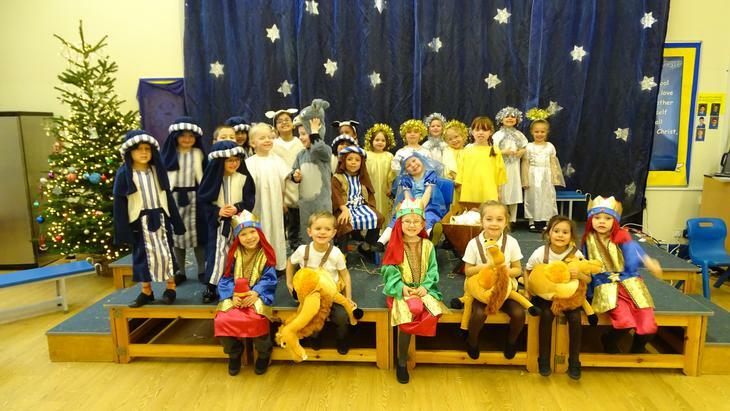 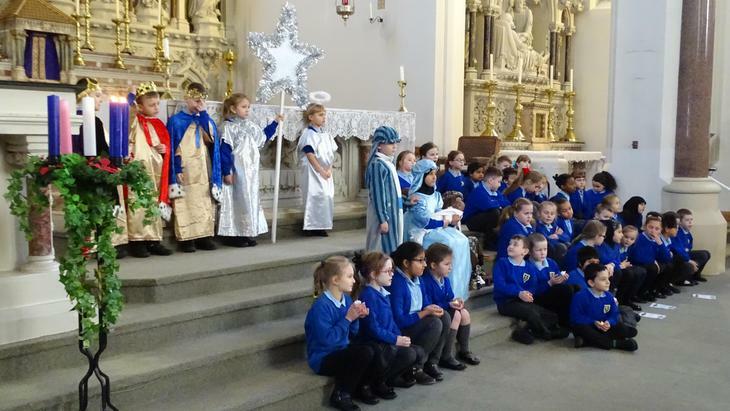 In assemblies and class based worship children are engaged and understand the importance of key celebrations in school. 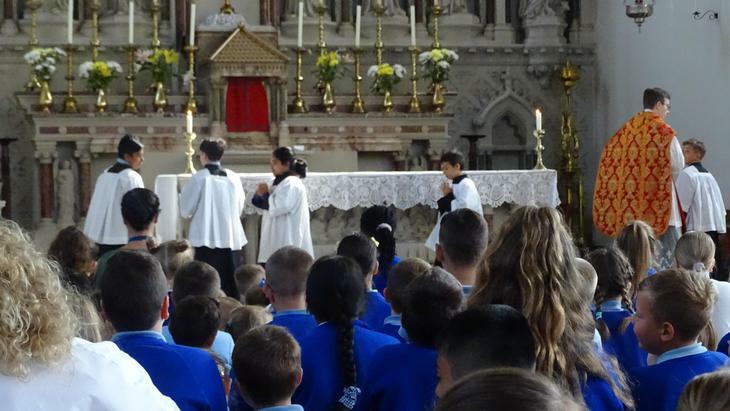 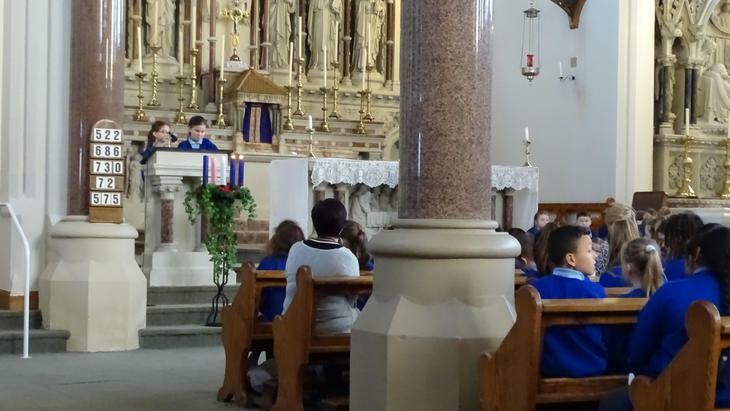 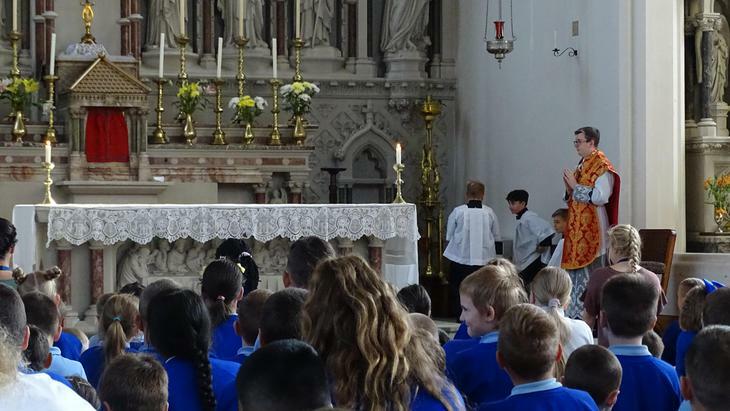 Through worship, prayer and celebration the children grow in their understanding of the liturgical year and knowledge of the Catholic faith. 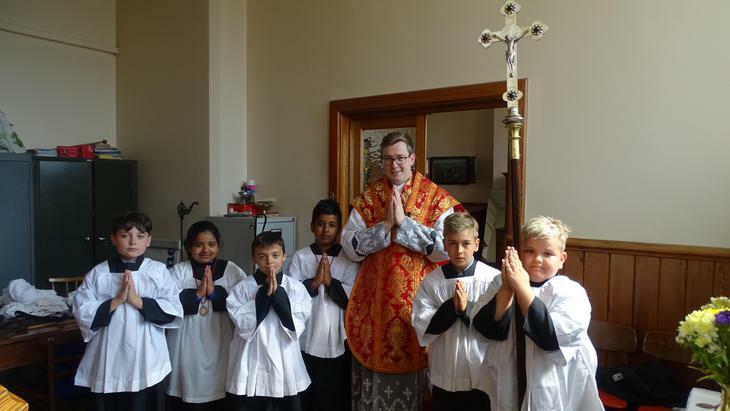 They are keen to participate and develop their personal faith. 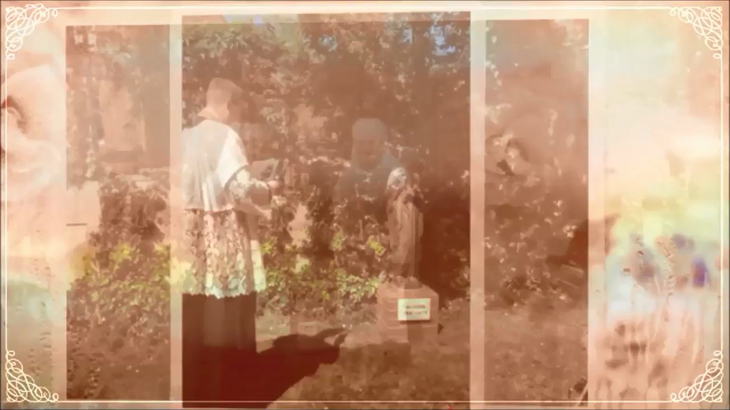 May Procession Tuesday May 22nd- We processed through the streets and into church to crown Our Lady. 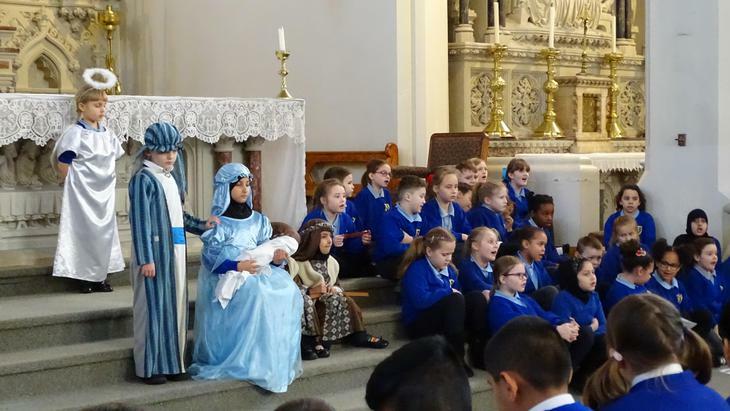 We were joined by the nuns from Little Sisters of the Poor in Manchester, 3 Sisters Adorers of the Royal Heart of Jesus, our parents and community, parishioners and Governors. 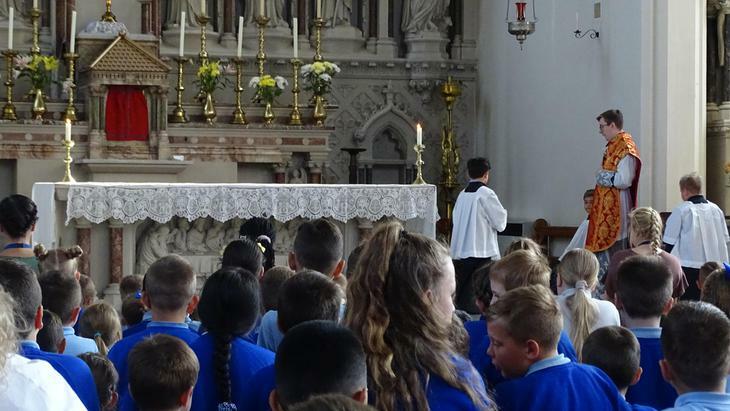 It was a very special occasion. 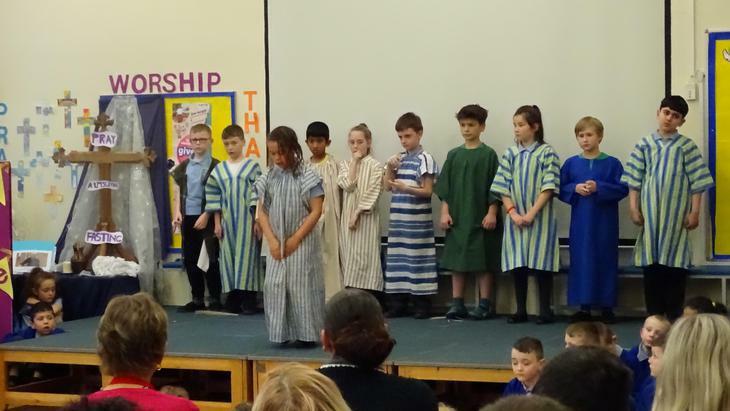 A beautiful portrayal of the Easter story shown through song dance and some amazing performances. 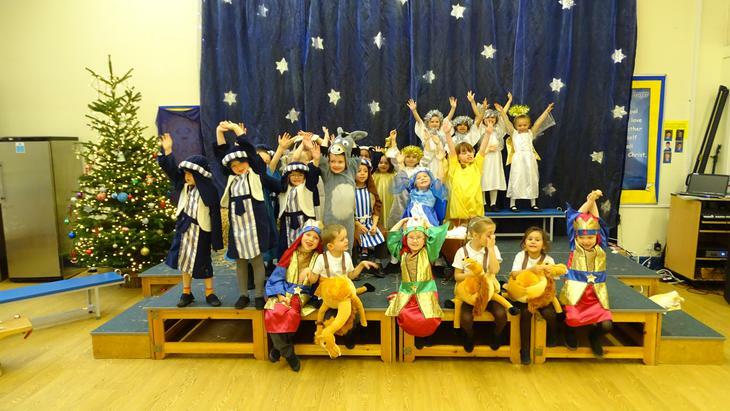 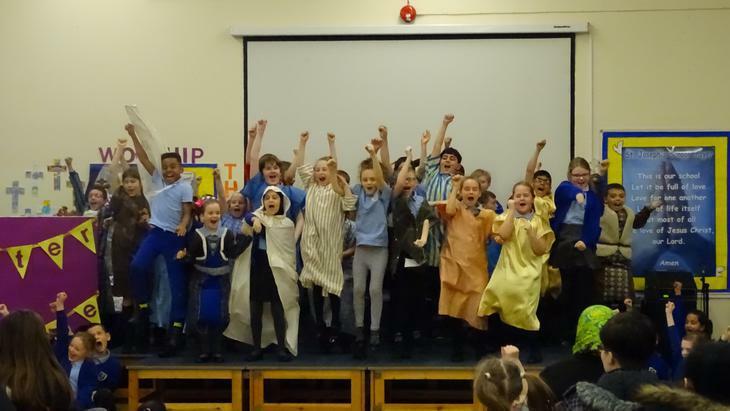 They are quite a talented dramatic bunch of children! 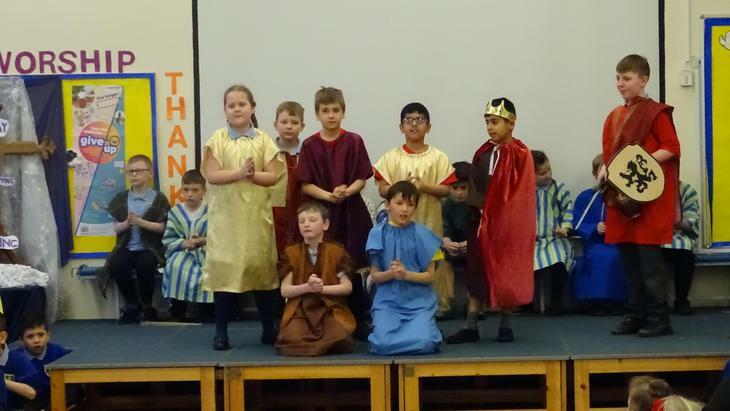 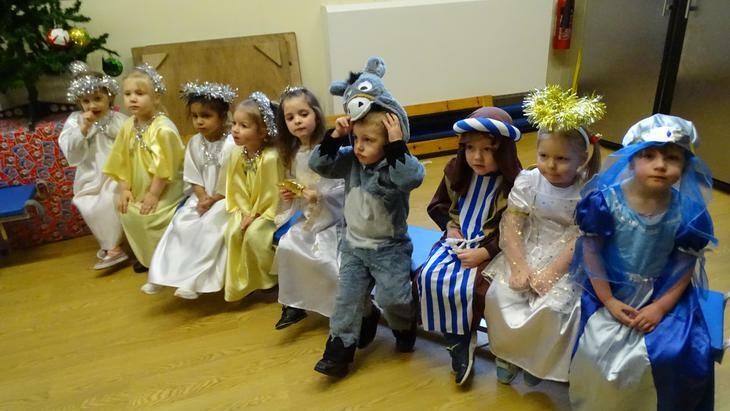 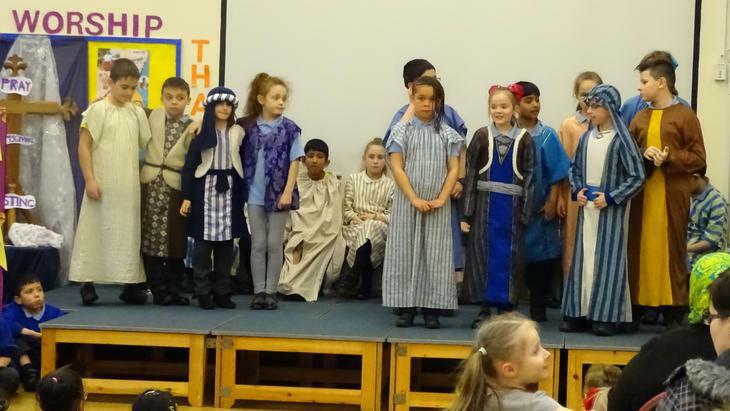 A special mention to Jaiden as a superb Jesus and Asia as Peter. 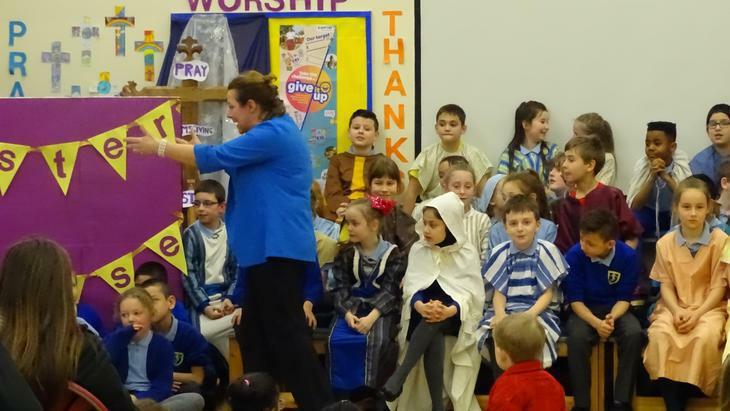 We visited our Church for Ash Wednesday for the first day of Lent. 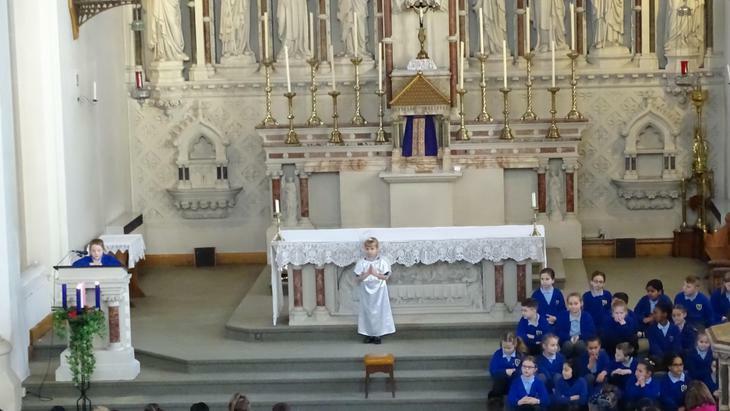 Father Millar came over to our school for key stage 1 and explained lots of interesting things about Lent and how we can take part in Lent.